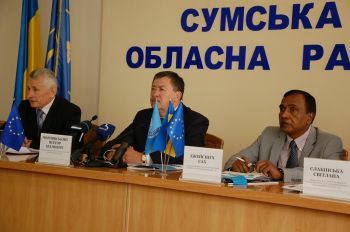 Distinguished attendees included the First Deputy Head of Oblast State Administration Viktor Chernyavsky, Deputy Head of Oblast Council Valeriy Tolbatov, International Project Manager of joint EU/UNDP Project “Community Based Approach” Jaysingh Sah, Monitoring and Communication Specialist of joint EU/UNDP Project “Community Based Approach” Svitlana Slabinska, leadership of rayon state administrations and rayon councils; and heads of village and city councils. “Sumska oblast very much appreciate cooperation with the EU/UNDP Project “Community Based Approach”. Thanks to such cooperation with international projects we were able to mobilize community for addressing issues we are facing. 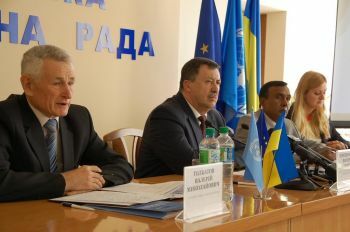 Community members become proactive, jointly with local authorities they plan development of their villages and plan their future”, - underlined in the welcoming speech Deputy Head of Oblast State Administration Viktor Cherniavsky. 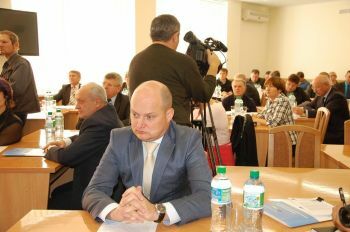 Implementation of the first phase of CBA Project commenced in Sumy region during February 2008. First phase was succeeded by a second phase in July 2011. Over these two phases, about 60 ths. men, women and children of the region have benefitted from improvement in 29 schools/kindergartens, 16 healthposts, 33 water supply, 2 environment, 21 street-lightning, 3 school-buses, 4 rural economic development which use alternative energy sources and so on. This happened through joint effort of the citizens, oblast/rayon/local level governments, CBA Project and the private sponsors.